Hot-air generators fueled by woodchips, pellet alternative, crushed shells, olive and peanut oil, and wood pieces. Ideal for heating large spaces such as sheds, greenhouses etc. 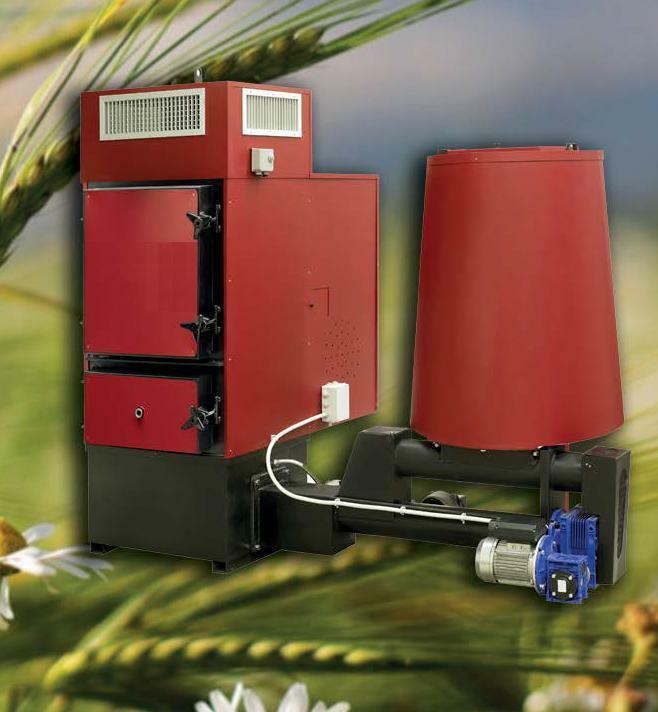 ..
GAC-V model biomass hot air generators. The GAC-V model is equipped with a vertical flue gas exchanger, to reduce ordinary maintenance to a minimum. 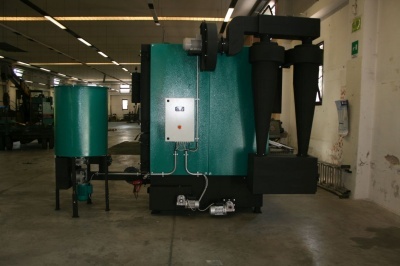 They represent the ideal solution for heavy duty, such as drying service, 24-hour heating, etc. 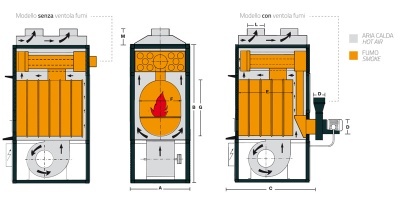 An advanced mobile grate burner with automatic ash extraction is available as an option, to burn biomasses that are particularly rich in ashes or with humidity up to 35%. The whole combustion chamber is lined with high quality refractory material, to minimize polluting emissions. They are suitable for burning pellets, crushed shells (olive pudding, almond shells, etc. ), wood chips G20 / 30 (humidity up to 25%) and wood logs in manual mode. Electronic management for automatic ignition, flame modulation and self-maintenance to reduce ignition to a minimum. Input for external chronothermostat for programmable ignition. With the addition of the optional specific loader can also use chips G20 / 30 with maximum humidity of 20%. Smoke aspirator as standard to avoid smoke draft problems. Cyclone filter available to reduce fine particles. Available powers from 34 to 800kw. Mobile grid versions ask. Smoke aspirator as standard to avoid smoke draft problems. Generator stainless steel hot air, suitable for use wood chips P16A W20 or dry sawdust. supply system with agitator and auger control by inverter. 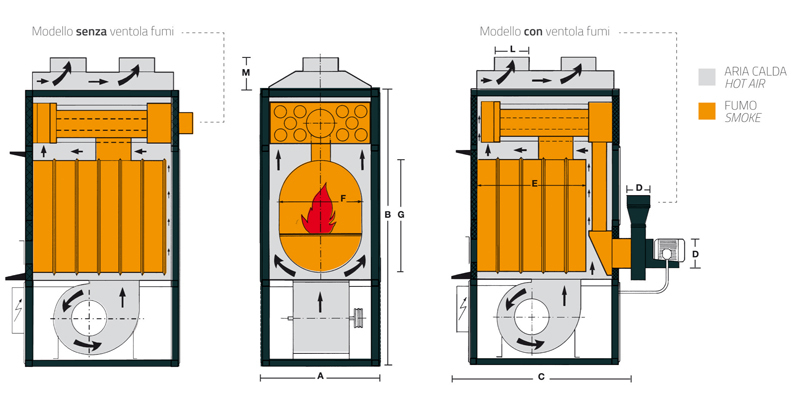 anti-incendio.Ventilatore high centrifugal safety system efficiency and heat exchanger steel inox.Cassettone ash collection. Generator stainless steel hot air, suitable for use wood chips P16A W20. supply system with agitator and auger control by inverter. anti-incendio.Ventilatore high centrifugal safety system efficiency and heat exchanger steel inox.Cassettone ash collection. 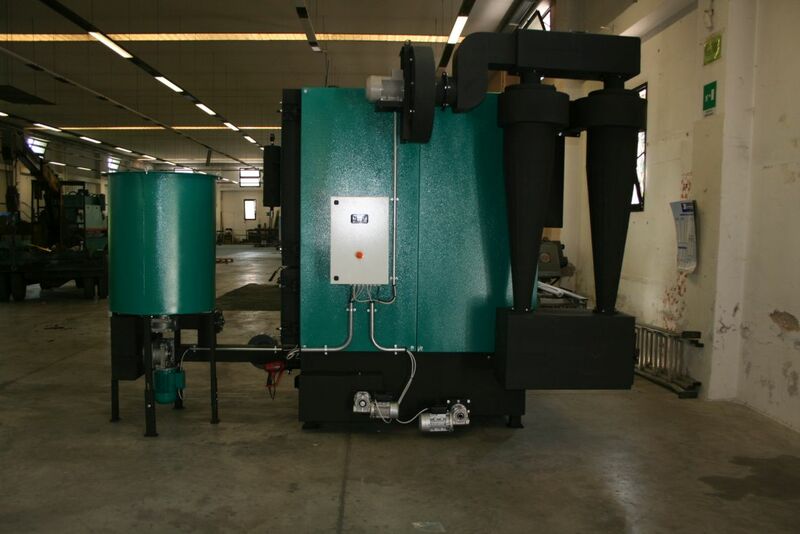 It is hot air generators, fueled woodchips, pellet, peanut oil, olive pomace oil, chopped fruit shells, wood pieces .. The generator is made of high quality steel (certified), resistant to high temperatures.Automatic start and digital controller.